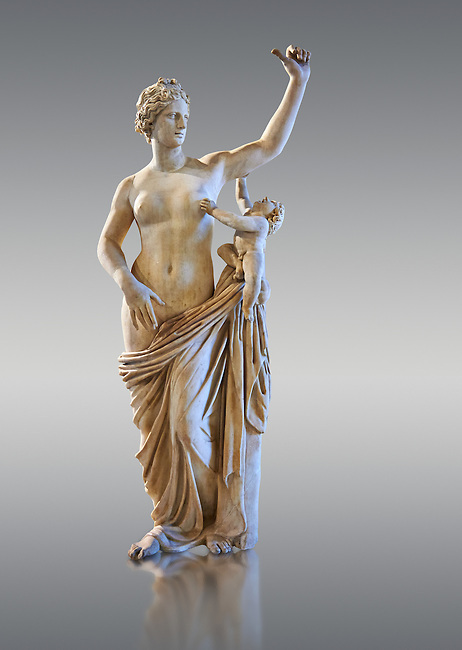 Venus and Cupid - a its or 2nd Roman statue restored in the 17th century by Alessandro l’Algarde. The statue was acquired in Rome in 1630 by Cardinal Richelieu. Restored by Alessandro l’Algarde the modern head is a copy of the Medici Venus or Aphrodite in Florence. The Richelieu Collection, Inv No. MR 386 (Usual No Ma 2287), Louvre Museum, Paris.